Post-Graduate training courses in Diplomate of National Board, affiliated to National Board of Examinations, New Delhi. Fellowship in Optometry and Ophthalmic Nursing Assistant course. In addition to these, Continuing Medical Education programs are conducted with the main objective of imparting knowledge to other practicing ophthalmologists. Rajan Eye Care hospital also takes on a social responsibility through its subsidiary organizations with a commitment to the poor, needy and the broader community. The Rajan Eye Bank in collaboration with Rotary Club of Madras works round the clock to reach deceased donors and provides others a new lease of sight through eye transplant surgeries. In this manner, more than 4500 corneal transplant surgeries have been conducted so far at free of cost. The Chennai Vision Charitable Trust aims to eradicate curable blindness. This community ophthalmology wing has outreach programs in rural areas. Till date more than 2100 free eye camps, 1,00,000 surgeries, 3,00,000 plus school children have been screened and more than a lakh free spectacles have been distributed. Rajan Lasik Pavilion, offers patients with Refractive Errors access to treatment using the sophisticated Wavelight Allegretto LASIK Laser. Treatment using this new technology is fast, painless and helps the patient achieve, what is called as super vision. 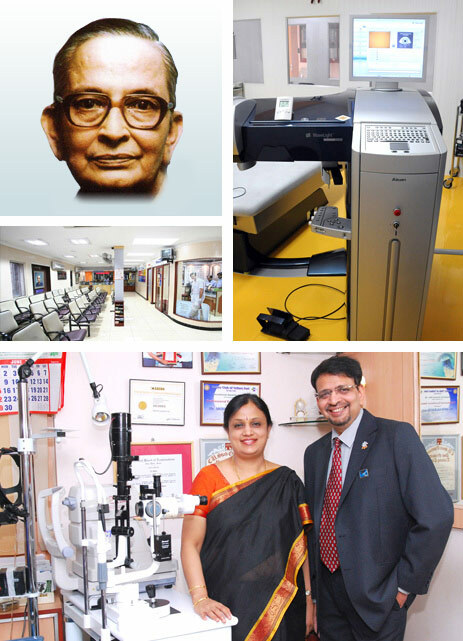 Overall, Rajan Eye Care hospital, which began as one man’s vision, is today synonymous with trust, experience and technology for total eye care treatment.